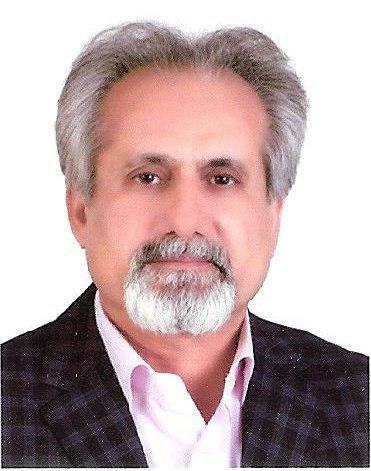 The member of Editorial Advisory Board; Polymers for Advanced Technologies, John Wiley & Sons Ltd.
a) Distinguished Researcher of University of Sistan and Baluchestan, 2000, 2001, 2002, 2003, 2004, 2005, 2006.
b) Referee of two ACS journals; J. Org. Chem. and Org. Lett. A review I provided in 2009 in J. Org. Chem. has had highest rating for quality. c) An award from DAAD as "Research Stay" with three-month financial support from 15 September 2006, Department of Chemistry, University of Potsdam, Potsdam, Germany, under title: “The Study of Rotation Energy Barrier about C-C and C-N Bonds in Tetrazole Derivatives”. d) International Workshop on Advanced Polymer Science and Turbulent Drag Reduction, 10 March - 20 March, 2007, ICTP, Trieste, Italy. e) The most distinguished lecturer of 15th Iranian Seminar of Organic Chemistry (15ISOC), 27-29 August, 2008, Razi University, Kermanshah, Iran and receiving Gold Coin. f) The following two papers are top two papers from top 10 articles published on the same topic and domain since I publicationed mine (2007 to 2011). This has been reported by BioMedLib™. Modarresi-Alam A. R, Najafi P., Rostamizadeh M., Keykha H., Bijanzadeh H. R., Kleinpeter E.: Dynamic 1H NMR study of the barrier to rotation about the C-N bond in primary carbamates and its solvent dependence. J. Org. Chem. ; 2007 Mar 16; 72 (6): 2208-11. Modarresi-Alam A. R., Amirazizi H. A., Bagheri H., Bijanzadeh H. R., Kleinpeter E.: Dynamic 1H NMR spectroscopic study of the ring inversion in N-sulfonyl morpholines--studies on N-S interactions. J. Org. Chem. ; 2009 Jul 3; 74 (13): 4740-6.
g) The Financial Grants by Iranian Nanotechnology Initiative Council (INIC) and Iran National Science Foundation (INSF) for postgraduate students, whose theses are in the field of nanotechnology and innovation in science. h) Supervisor and Referee in Iran National Science Foundation (INSF) Supporting and Iran Nanotechnology Initiative Council. i) The Appreciation Letters for the distinguished educational lectures. j) Secretary of Education committee. k) Member of Research committee.